Ozobot is on a mission to prepare kids for the future with the ability to collaborate with and control robots. They believe that, in the future,robots will be a huge part of almost every profession. 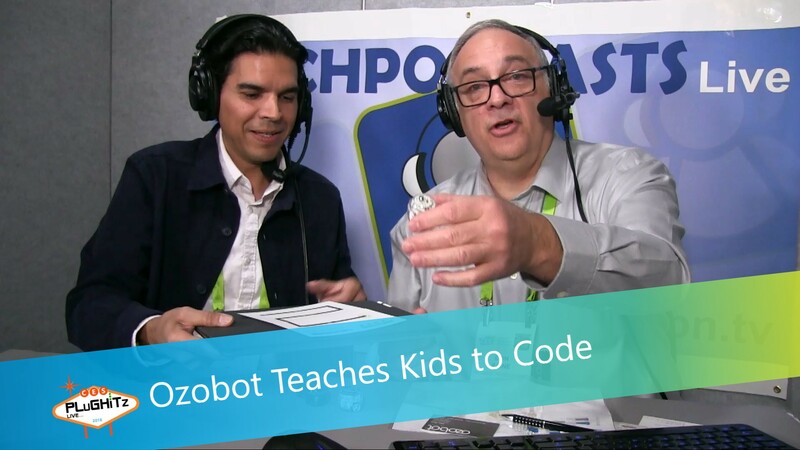 Ozobot has created a fun way to teach kids how to write code that will make a pocket-sized robot do something. Creativity is encouraged. Don spoke with Joby from Ozobot at CES 2018. Joby demonstrated some of the things that the Evo robot can do. Each Evo has optical sensors and, right out of the box, without being app-connected, a child can start playing with Evo. First, a child draws a line on a regular piece of paper with a marker and Evo will follow it, no matter the line that is drawn. Kids can learn some simple programming skills by creating a line that includes colored dot sequences that tell Evo how to move. In addition, Evo can be used to make music or to play games. The little robot can follow your finger around, and can even play an "Escape" game where it tries to avoid your hands. In addition to the robot, Ozobot gives kids the codes for all of Evos tricks and encourages them to hack it. They can earn points by making Evo do different things and the points can be used to buy avatars. Evo is available now from Amazon and the Ozobot website. It costs around $90 and comes in Crystal White or Titanium Black, or in special edition Iron Man or Captain America pack. Evo comes with instruction cards, markers, a free iOS/Android app, and access to OzoBlockly Programming.